The survey found that 56 percent of smartphone owners in key global markets were keeping their options open about which phone they would buy next, with only Apple commanding a significant degree of loyalty. Satisfaction is another nebulous survey category. About a week ago, the results of a survey conducted by ChangeWave confirmed what iPhone owners have known all along – the iPhone is by far the greatest thing since sliced bread. 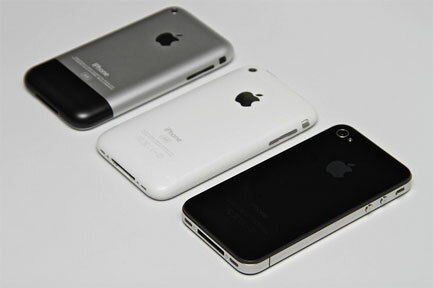 In that survey, the iPhone 4 ranked highest in customer satisfaction among smartphone owners at 77 percent. In case you do care about the runner-ups, the other smartphone manufacturers included in the survey were Motorola (s mot) (71 percent with the Droids X and 2), HTC (63 percent with the EVO 4G and Droid Incredible), Samsung (45 percent with the Galaxy S) and RIM (s rimm) (44 percent with the BlackBerry Curve, Bold and Torch). The iPhone 4’s exceptionally high Very Satisfied rating confirms our earlier survey findings that despite the controversy surrounding its initial launch, the iPhone 4 has been extraordinarily well received by its owners. These iPhone 4 scores are even better than the ratings for the earlier generation iPhone 3GS models which were recorded in our May 2010 new smart phone owners survey. In the end, it’s nice to know –- but far from surprising –- that iPhone owners are satisfied enough with their phones that they would buy another. After all, the iPhone pretty much defined the modern smartphone, and besides, it’s about the most expensive smartphone one can buy. Isn’t it pretty safe to assume that someone buying an iPhone has given their purchase more deliberate consideration than if they were buying a much cheaper alternative? we were the most satisfied users but problem of signal in iphone 4g forced me to move towards nokia n8 ……. “To do what it claims to” is key. This is exactly why I ditched my Nokia 5800 in favour of a Siemens C55. I do miss camera and internet access, yes, but what I don’t miss is constant crashes, randomly deleted call lists and messages, and the awkward UI. It doesn’t matter that much what a phone claims to do; only how well it does that is really important. There are still new phones made with about the same amount of features as my C55 (that Nokia XpressRadio phone doesn’t even have internet access or IrDA, unlike mine! ), but there is always somebody there who will buy them, as long as the phones actually do what they were intended to do. That’s why Nokia’s “dumbphones” sell better than their smartphones. Obvious. With the best resolution and remarkable apps its hard for any one to be unsatisfied. I just bought an iPhone 4 about a month ago, and love it to death. I’ve never had a single problem with it, and have never had a better phone. I had the HTC Touch Pro 2 before my iPhone, and before that had just a plain ol’ cell phone (a Motorola ROCKR, if I recall.). I love my iPhone, and will definitely be sticking with them.